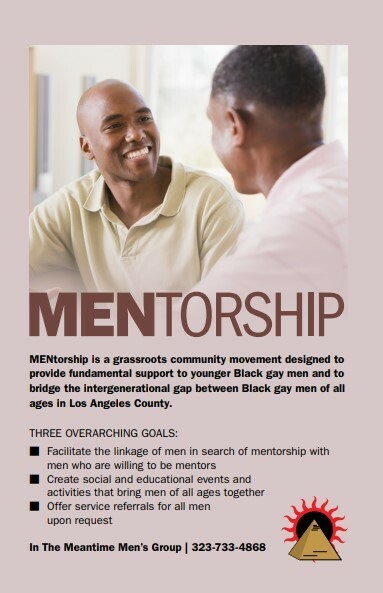 MENtorship is a grassroots community movement designed to provide fundamental support to younger Black gay men and to bridge the inter-generational gap between Black gay men of all ages in Los Angeles. Facilitate the linkage of men in search of MENtorship with other men who are willing to be mentors. Create social and educational events and activities that bring men of all ages together. Offer service referrals for all men upon request. © 2019 In The Meantime Men. All Rights Reserved.